Tjörnes is a large peninsula in the northeast of Iceland, between the Skjálfandaflói gulf and Öxarfjörður. It’s one of the best known geological localities in the country and absolutely a gem of a place to visit. It is part of the well known Diamond Circle in the north east of Iceland. There is a very special place in Tjörnes named Hallbjarnarstaðakambur (a real toungue twister! 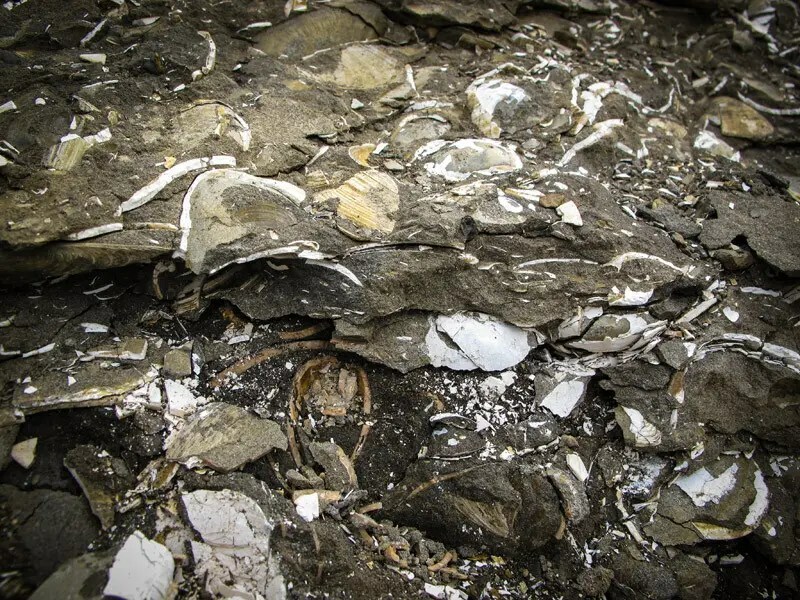 ), a small beach where huge layers of fossilised seashells dating over 3 millions years old are exposed for all to see. It’s nothing short of a spectacular outdoor museum where you can take a look deep into the past. It’s the perfect place to visit if you happen to be travelling in the northern part of Iceland and want to witness something unique. The only problem is you must know your way around! I recommend that you start by visiting the picturesque town of Húsavík (e. bay of houses). One possible diversion there is go whale watching and get close and personal with the giants of the sea. To get from Húsavík to Hallbjarnarstaðarkambur you must continue on Norðausturvegur, route 85, and head to a place called Tunguvellir (there should be a sign by the road). There close by is a short drive from the main road down to the seashore. This detour is market with a small “fossil” sign and it’s very easy to miss. You know you’ve found the right place if you see a small wharf and a house down by the shore at the end of a narrow, muddy road. Once there feel free to look at the fossils lying all around. I would also recommend you take a short hike up the river and enjoy the scenery. 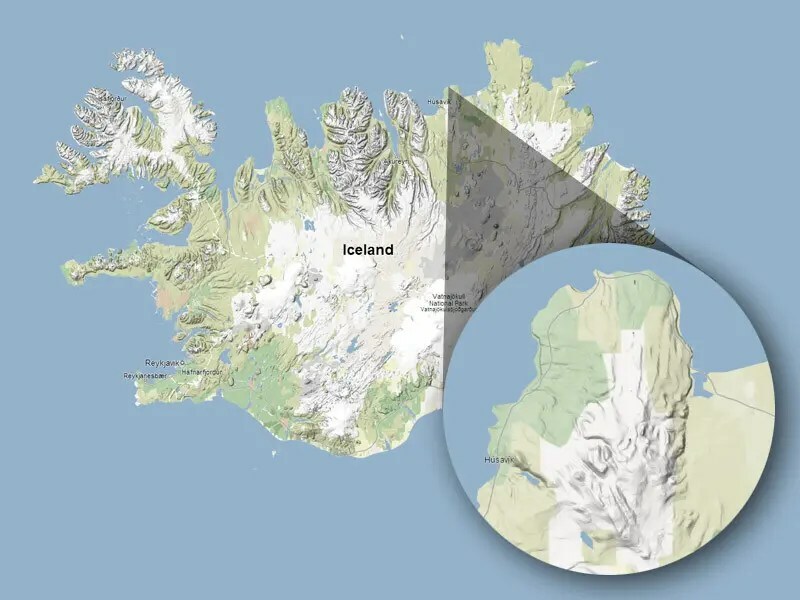 Just remember the place is an important nature reserve and protected by Icelandic law. You can look and take pictures but it is strictly forbidden to disturb or remove anything. It would be a real shame if a place like this would be closed to the public just because they won’t behave legally or decently. I must warn you the detour from the main road has not been in a decent condition recent years, to put it mildly. Don’t try this route if you are not properly equipped for it. The best way to experience Hallbjarnarstaðakambur is to acquire the services of a licensed tour operator. You can for example contact Valtours, a small eco tour operator that offers trips to Hallbjarnarstaðarkambur (no affiliation) among other places. Isafold travel is also an excellent choice. 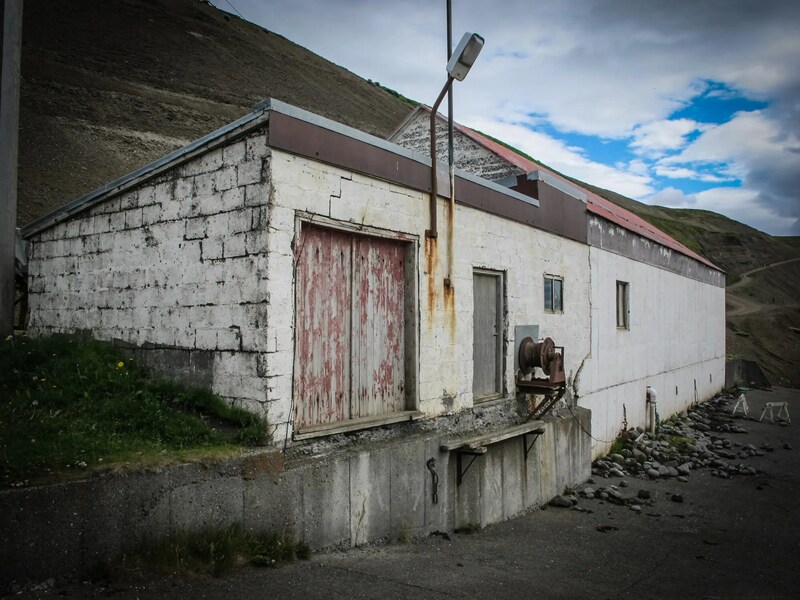 The Iceland 360° – On the rocks tour features Hallbjarnarstaðarkambur.